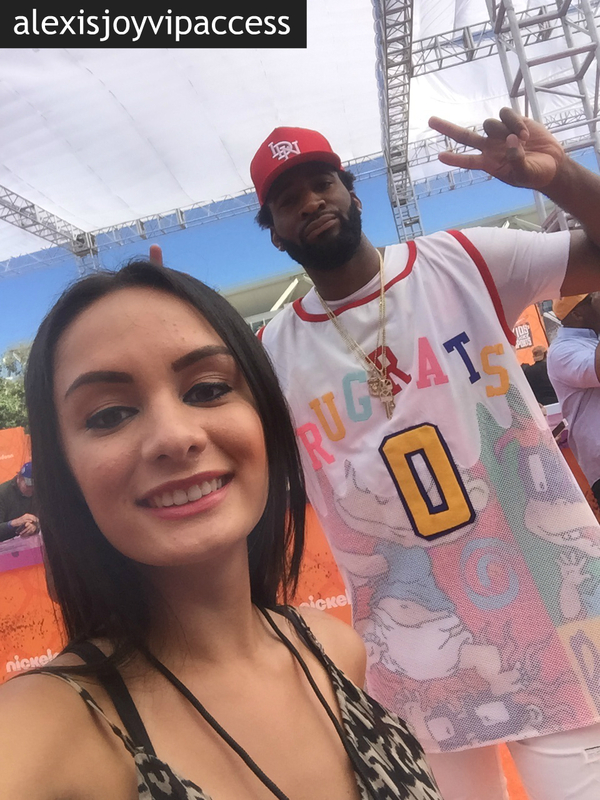 VIPAccessEXCLUSIVE: The Sensational Andre Drummond Interview With Alexisjoyvipaccess At The 2016 Nickelodeon Kids’ Choice Sports! When we hear the name “Andre Drummond,” there are a lot of things that we think of. First off, that he is one extraordinary and outstanding basketball player. Next thing we think about is all of his awe-inspiring and sensational basketball achievements and career highs. We also think about how he was named the Eastern Conference Player of the Week and he was named a NBA All-Star, amongst many, many other successes. Needless to say, Andre Drummond’s accomplishments are endless and he has impacted the sport of basketball in such amazing ways. Andre Drummond is truly an asset to the Detroit Pistons and he has definitely inspired so many of his fans and basketball lovers to continue to appreciate the sport and work hard to achieve your goals. I, Alexisjoyvipaccess had the greatest honor of covering and attending the renowned and prestigious 2016 Nickelodeon Kids’ Choice Sports again, celebrating everyone’s favorite iconic sports stars and sports moments; and I had the honor of interviewing the one and only Andre Drummond at the event. Andre Drummond dished exclusively to Alexisjoyvipaccess all about what inspired him to start playing basketball, advice he would give fans who would like to pursue a basketball career, and so much more only in our VIPAccessEXCLUSIVE interview. Andre Drummond even spilled on the one word he would use to describe the feeling he gets when he is playing basketball – hear what he had to say in our VIPAccessEXCLUSIVE interview below. Thanks for the wonderful interview, Andre Drummond! Check out my VIPAccessEXCLUSIVE interview with the spectacular Andre Drummond at the 2016 Nickelodeon Kids’ Choice Sports below! Previous VIPAccessEXCLUSIVE: The Phenomenal Isabela Moner Updated Interview With Alexisjoyvipaccess At The 2016 Nickelodeon Kids’ Choice Sports!